Hardwood floors are special. Apart from the gorgeous appearance, they are long lasting and can be used in a hone through the generations. To reap the full benefits, however, you need to always keep your hardwood floors well maintained. Here is some of the best advice to help you achieve this. This is the first step to avoiding weak looking wooden flooring and increase the longevity of its shine. You should vacuum on a daily basis. On the rare occasions when you simply can’t vacuum, dust mop. Regular vacuuming not only rids your home of dirt, but ensures a healthy looking floor. When there is a spill on your wooden floor, there is always the temptation to get out the mop and get things over and done with. However, this is counterproductive. Whilst you should wipe spills right away, mopping can spread the spill farther than necessary. Dab away spills, instead, and do so as soon as it happens. Additionally, you need to wax once every 12 months, at least. This is the best way to reduce the impact of wear and tear and increase the longevity of your wooden floors. There are contradicting opinions on this, but using diluted vinegar or ammonia to clean polyurethane surfaces is counterproductive. The acid can etch the finish and make it appear dull. With regular cleaning, you will end up shortening the lifespan of your polyurethane finish. So consider cleaning solutions that do not contain any acids. You need to frequently dust your wooden floors, but this should be done with a dry mop that has been treated with a dusting agent or electric clothes that are electrostatic. With these, you can keep the floor clean in between scheduled semi-annual deep cleanings. When it is finally time for deep cleaning your hardwood floor, you should make sure the cloth used has very little water. When it comes to a mop and cloth, you need to wring it almost dry so it feels only slightly damp to touch. 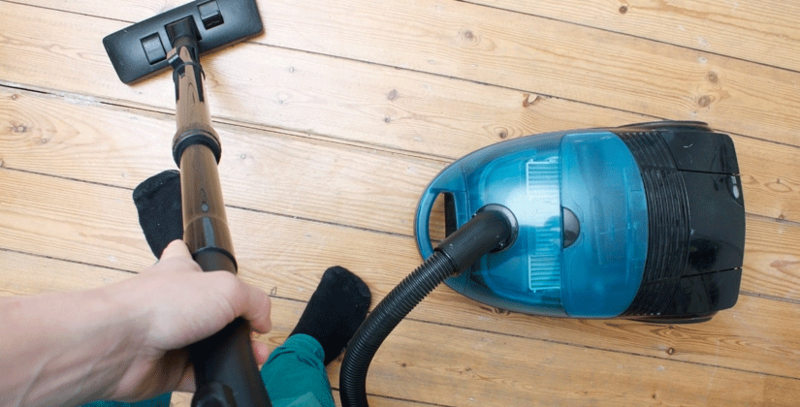 You can’t just use any type of clothing materials to clean your wooden floors. Cloth diapers are the best option because they are soft and absorbent. If you can’t find these, find alternative options. This sounds a bit odd but it does work. Put some teabags in boiling water and use the resultant mix to clean your hardwood floor. Tea contains tannic acid which has been proven to create a unique shine for hardwood floors. With these tips, you can enjoy your hardwood flooring to its fullest.